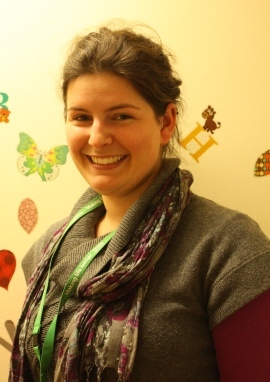 Dr Chloe Constable is a Clinical Psychologist with the Children and Young Person Services (CYPS). “My work is a mixture of generic work with a range of young people and family, and specialist clinics. I could be helping a seven-year-old with anxiety, or working with 17/18-year-olds who are struggling with self-harm or suicidal thinking, so it is very varied. “I also carry out therapeutic work, meeting with schools and families, for example helping families to find solutions to problems. I have to plan my case load, and am also on the crisis rota for the hospital. I write therapeutic letters to young people and their families, summarising the work we have done together and their health plan going forward. “Colleagues are very supportive, and we have regular team meetings where we share ideas and supervision. “I am particularly interested in service improvement, so appreciate having the opportunity to take that forward. “I’ve found the Trust to be very supportive when it comes to personal development and allowing us to focus on particular interests and training. The ability to have flexible working also means I am able to schedule appointments at times that suit my patients, as well as me. “It’s a great job if you like working autonomously and with people, and each week is different. It can be challenging, and I sometimes feel there are just never enough hours in the day to do everything that I’d like to do. I love being able to empower young people, and their families, to manage their emotional wellbeing. Find out more about being a Clinical Psychologist on www.healthcareers.nhs.uk.